A microcosm of India, the state of Uttar Pradesh accommodates diverse cultures with rich lifestyle reflecting its heritage dating back to Vedic period. Multi-ethnic, multi-religious and multi-cultural, UP has assimilated many an immigrant culture and race within its borders and created a unique social mosaic found nowhere else in the country. The people of UP belong to many religions and come from distant parts of the country but have enjoyed full freedom to recreate their own native cultures. Afghans, Kashmiris, Bengalis, Parsis and Punjabi immigrants have settled here across the vast lands of Uttar Pradesh. The majority Hindus live in perfect harmony with Muslims, Christians, Jains, Sikhs and Buddhists, all of whom have prospered through successive generations. Despite UP falling back on development and is still divided along caste lines, the state has pockets of industrialised clusters powering the economic growth. Though its secular, liberal and progressive roots are much appreciated, there are vested political interests which keep the people tied to their past social taboos and religious bigotry giving rise to needless friction in society. While people's diversity is its strength, at the same time the UP society is divided on caste affinities that keep the social tensions simmering below the surface. Uttar Pradesh has to face the ignominy of a Mughal-era Babri Masjid being razed down by Hindu fundamentalists in Ayodhya on December 2, 1992. The demolition of mosque by rampaging mobs was a turning point in the political and cultural discourse of UP with vote-bank politics becoming critical for electoral success. A section of the scholars are of the view that the Rig Veda was composed in the Gangetic valley. But even if this was not true, it is generally accepted that a substantial portion of the Vedic literature had its origin in UP across its many hermitages. The hermitages and their neighbourhoods were seats of Vedic learning in which sages (or rishis) imparted knowledge and wisdom to disciples staying on the vast campuses. Some of the big names in Hindu literature such as Yajnavalkya, Vashishtha, Vishwamitra, Valmiki, Attriyea, Bharadwaja, Kapil and Vyas lived in these sylvan retreats of Uttar Pradesh and inspired millions through the ages. Eternal epics Ramayana and Mahabharata were the priceless gifts of Uttar Pradesh to humanity. Right from this epic age, UP has come under the influence of many cultures from within and outside the subcontinent. The two most significant cultures other than Hinduism are those being those generated by the teachings of Lord Buddha and Mahavira, the 24th Jain Tirthankar. While Brahmanical culture is predominant in certain parts of UP, it is now eclipsed by the more virile and vigorous Buddhism and other regions in rest of the state. The fountainheads of Brahmanical culture were centred at holy places as Kashi, Ayodhya, Prayag, Mathura and the Himalayan hermitages. Mathura has proved to be a veritable store-house of buried ancient art, both of the Brahmanical and Buddhist varieties and Kashi, which has withstood the ravages of times, of living Hindu art. The majority of the people are Hindus while a large percentage of the minority practice Islam. There are also a fair number of Christians in Uttar Pradesh. 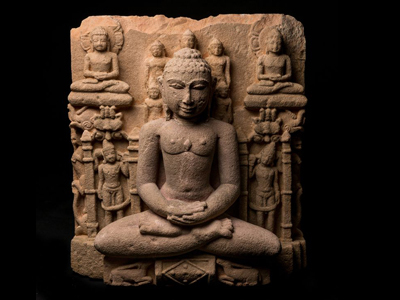 Buddhism and Jainism have also flourished in Uttar Pradesh during medieval times. As a result there are Buddhists and Jains too who have settled in some places and follow their cultural lifestyle in harmony with other communities. Caste loyalties and strict village discipline enforced by local panchayats have strong grip over life in the rural areas of Uttar Pradesh. Even highly educated people living in villages have no option but follow the diktats of local panchayats or else, their families will be ostracised by the village community and they had to live in isolation forever. Uttar Pradesh has been the cultural seat of the country for a very long time. The history of UP is quite eventful and a multitude of empires shaped a rich cultural heritage that further emerged as the focal point of the Indian lifestyle. The Mauryans, the Mughals and the British, among others, brought with them their own cultural traits. A cultured, refined lifestyle was the essence of the rule of the Muslim Nawabs of Awadh. Music, dance, literature, poetry, arts and crafts flourished under royal patronage of Muslim Nawabs followed by Mughals. Women were encouraged to learn the fine arts and to read and write, albeit within the ‘purdah’ (veil covering face). Litterateurs, scholars, painters, dancers and musicians created masterpieces in their respective genres. Writers Munshi Premchand, Mahadevi Verma, Srikant Verma, Poets Suryakant Tripathi ‘Nirala’, Harivanshrai Bachchan, Sumitra Nandan Pant, Mahavir Prasad Dwiwedi and Upendranath ‘Ashk’ contributed much to the growth of Indian literature. In the fine arts, shehnai maestro Ustad Bismillah Khan, Kathak wizard Birju Maharaj, tabla maestro Kishan Maharaj, Baba Allaudin Khan and his disciples Pandit Ravi Shankar and Ustad Vilayat Khan; ghazal singers Begum Akhtar, Rasoolan Bai, Girija Devi and many more regaled the people for centuries. UP is the place where one of the six foremost classical dances of India, the Kathak, flourished. 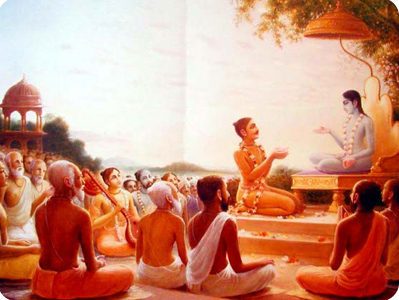 The word Katha, from which the name is derived, means story. It originated in northern India, during the 7th century CE. Kathak has intricate and complex movements of hands and feet along with facial expressions. The footwork is accompanied by the music of various percussion instruments such as tabla and pakhwaj, which are native to north India. 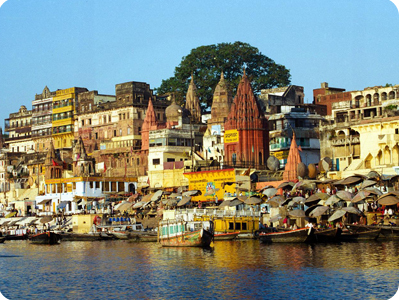 Varanasi is considered to be one of the oldest cities in the world. It is famous for its ghats - the bathing steps along the Ganges River. The ancient city is always flooded with pilgrims who come here to bathe in the sacred Ganga River and wash off their sins. 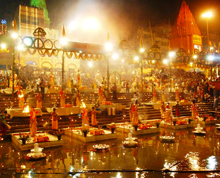 Mathura is world-famous for its colourful celebration of the Holi festival, which attracts many tourists. Lord Krishna was born in Mathura and the town is replete with numerous temples of the Lord. Mathura is located 50 km north of Agra, another historical place that is world famous for Taj Mahal, a mausoleum built by Emperor Shah Jahan in memory of his beloved wife Mumtaz Mahal. Lord Krishna is said to have spent most of his youth in ancient cities Brindavan, Gokuland Govarthan of Uttar Pradesh. The people of Brindavan very much adore Lord Krishna who is worshipped with passion by the locals and pilgrims. Thousands gather in Allahabad to take part in the 'Magh Mela' festival which is held on the banks of the Ganges. 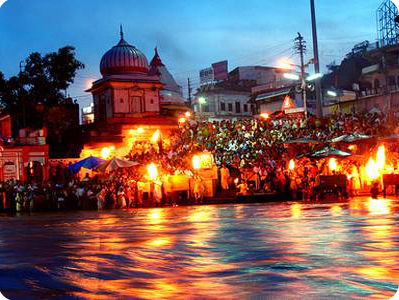 The bathing ritual on Ganges River is organised on a mammoth scale every 12th year and is called the Kumbh Mela. The Kumbh Mela attracts over 10 million Hindu pilgrims and this sacred event is popular as one of the largest gatherings of human beings in the world. Budaun is a city which attracts thousands of tourists for its monuments and tombs of historical personalities. The historically important towns of Sarnath and Kushinagar are located not far from Varanasi. Gautama Buddha gave his first sermon at Sarnath after his enlightenment and died at Kushinagar; both are important pilgrimage sites for Buddhists. Also at Sarnath are the Pillars of Ashoka and the Lion Capital of Ashoka, both important archaeological artefacts with national significance. At a distance of 80 km from Varanasi, Ghazipur is famous not only for its Ganges Ghats but also for the tomb of British potentate Lord Cornwallis maintained by the Archaeological Survey of India. Kathak is a famous classical dance that origniated from Uttar Pradesh. The state is home to an ancient tradition in dance and music. During the eras of Guptas and Harsh Vardhan, Uttar Pradesh was a major centre for musical innovation. Swami Haridas was a great saint-musician who championed Hindustani classical music. Tansen, the charismatic musician in Mughal Emperor Akbar's court, was a disciple of Swami Haridas. Kathak is a classical dance form that involves the graceful and coordinated movements of feet along with entire body. The dance form grew and flourished in Uttar Pradesh. Wajid Ali Shah, the last Nawab of Awadh, was a great patron and a passionate champion of Kathak. The medieval age saw the emergence of two distinct strands of music. One was the court music that found patronage in the courts like Agra, Fatehpur-Sikri, Lucknow, Jaunpur, Varanasi, Ayodhya, Banda and Datiya. The second was the religious tradition emerging from the Bhakti cult rooted and flowered in centres like Mathura, Vrindavan and Ayodhya. Rulers and musicians from Uttar Pradesh contributed to the prosperity of Hindustani music. 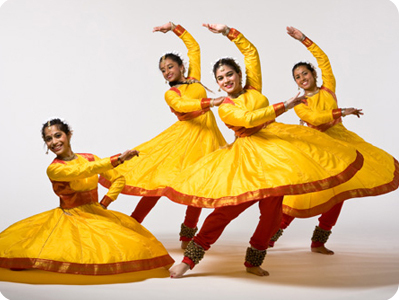 At present, UP is home to two prominent schools of this dance form -- Lucknow Gharana and Banaras Gharana. World famous musicians Naushad Ali, Talat Mehmood, Begum Akhtar, Anup Jalota, Baba Sehgal, Shubha Mudgal, Bismillah Khan, Ravi Shankar, Kishan Maharaj, Hari Prasad Chaurasia, Gopal Shankar Misra, Siddheshwari Devi, Girija Devi and Sir Cliff Richard were all from Uttar Pradesh. The region's folk heritage includes songs called Rasiya (known and especially popular in Braj), which celebrate the love of divine couple Krishna and Radha. These songs are accompanied by large drums known as bumb and are performed at many festivals. Other folk dances or theatre forms include Raslila, Swang, Ramlila (a dramatic enactment of the entire Ramayana), Charukala, Nautanki, Naqal (mimicry) and Qawwali. Charkula and Rasiya are native arts of the Braj region of the state. The Bhatkhande Music Institute is located in Lucknow. 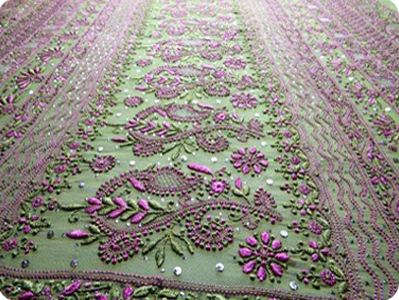 One of the traditional crafts of UP is Chikankari that requires delicate hand embroidery. This form of handicraft is mainly practiced in Lucknow. It is done on fabrics like chiffon, doruya, muslin, organza, organdie and silk. Chikan saris and Kurtas make the perfect summer wear.Zardoji embroidery is another art where the embroidery is done in three dimensions. Zari works of Benaras are famous the world over. Pottery and metal ware items are created on a large scale for which there is a ready demand in the market. Carpet weaving is an important cultural facet of UP. The state caters to 90% of the country's carpets and the carpet weaving centres in the state are primarily located around Mirzapur, Khamaria and Bhadohi. UP is the largest brass and copper producing state in India. In domestic ware each of the 'lotas' (small water-pots) is known by the name of its origin like Etawah, Banaras and Sitapur. The ritual articles are largely in copper. Moradabad in U P is famous for art metalwork and known for its coloured enamelling and intricate engravings. Glazed pottery with white background and blue and green patterns is developed in Khurja, Chunar and Rampur in Uttar Pradesh. UP produces some of the finest Chunar black clay pottery. This is inlaid with silver paint in intricate designs. The art that is perfected in Nizamabad, has high gloss and lustre derived from a powder called kabiz made from the mud of rice fields. Khurja is also well known for its cheap and tough tableware. Gorakhpur has villages where clay figures of animals are done and is famous for its ornately decorated terracotta horse. The potter creates the basic form by throwing separate pieces on the wheel and then joining them. Lucknow is well known for its jewellery and enamelling work. Exquisite silverware with patterns of hunting scenes, snakes and roses are very popular. The Bidri and Zarbuland silver works of Lucknow find expression on excellent pieces of huqqa farshi, jewel boxes, trays, bowls, cufflinks and cigarette holders. Renowned ivory and bone carvings with motifs of flowers, leaves, creepers, trees, birds and animals are widely produced in Lucknow. The master craftsmen create intricate items like knives, lampshades, shirt pins and small toys. 'Attars' or perfumes are produced in Lucknow from the 19th century. The Lucknow artisans experimented and succeeded in making attar with delicate and lasting fragrances. The fragrances are made from aromatic herbs, spices, sandal oil, musk, essence of flowers and leaves. The famous Lucknow fragrances are khus, keora, chameli, zafran and agar. The tradition of painting in UP dates back to pre-historic times. The cave paintings of Sonbhadra and Chitrakoot depict scenes of hunting, war, festivals, dances, romantic life and animals. The golden period of painting in UP was the Mughal era. The art of painting reached its peak during the rule of King Jahangir. The Mughal style of painting remains one of the greatest achievements of Asian culture and is unique lay in its concept, presentation and style. The art of painting reached the epitome of perfection in the area of Bundelkhand when the King of Orchha reconstructed the temple of Keshav Dev in Mathura. The paintings found in Mathura, Gokul, Vrindavan and Govardhan depict scenes from the life of Lord Krishna. Another major pre-modern painting of UP is known as the Garhwal School which was patronised by the Kings of Garhwal. Religious occasions and events are an integral part of everyday life and a very public affair like in other parts of India. Hence, many festivals are religious in origin, although several of them are celebrated irrespective of caste and creed. Among the most important Hindu festivals are Diwali, Holi and Dussehra, which are also observed with equal fervour by Jains. Ten days of Ramlila takes place during the Navratri week and on the 10th day, the effigy of Raavan is burnt with great fervour. Durga puja is observed in many parts of the state during Navratri. Barah Wafaṭ, Eid, Bakreed and Birthdate of Imam Ali ibn Abitalib are recognised official Muslim religious festivals. Moharram, though the day of Ashura is official holiday but Shiites consider it as a day of mourning and not a festival as some people believe. Mahavir Jayanti is celebrated by Jains, Buddha Jayanti by Buddhists, Guru Nanak Jayanti by Sikhs and Christmas by the Christians. Other festivals include Ram Navami, Chhath Puja, Krishna Janmashtami and Mahashivratri among others. Karva Chauth: A one-day festival celebrated by Hindu women in UP and other northern states. Married women fast from sunrise to moonrise for the safety and longevity of their husbands. The festival falls on the fourth day after the full moon, in the Hindu lunisolar calendar month of Kartik. Annakut: Govardhan Puja also called Annakut (meaning a heap of grain) is celebrated as the day Krishna defeated Indra by lifting the Govardhan hill. It is the fourth day of Diwali, the Hindu festival of lights. The day is celebrated on the first lunar day of Shukla Paksha (bright fortnight) in the Hindu calendar month of Kartik. The next day Bhaiya Dooj is observed when sisters apply vermilion tika (auspicious mark) on the forehead of their brothers who reward them with money. Shitla Ashtami: This falls on eighth day after Holi. The ritual is devoted to the goddess of small-pox, followed by Ram Navami on Chaitra Sudi Navami commemorating the birth of Lord Ram. Vaisakhi Purnima: Also called Buddha Purnima as it is a celebration to mark the birth anniversary of Lord Buddha. It is a most important day for Buddhists. Vaisakhi Purnima is observed on the full moon lunar day of the month of Baishakhi. 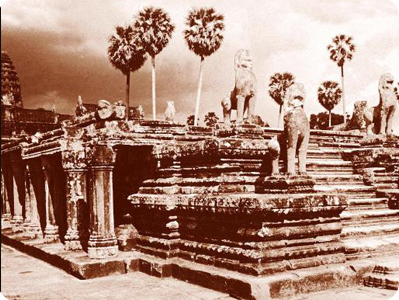 This is the day which related to three most important events of the life of Buddha. On that day Buddha was born in 623 BC, he gained spiritual thoughts in 588 BC and finally, died in 543 BC. Bargadhi Amavasya: This is observed on the Amavasi or no moon day in the Jyeshta month as per Hindu calendar in North India. Thousands take holy dip in Ganges and Yamuna on the day. Women observe special prayers and rituals for the welfare of the family and for a happy and prosperous life. Guru Purnima: This festival is celebrated by Hindus, Jains and Buddhists to pay their respects to their teachers and express their gratitude. The festival is celebrated on the full moon day (purnima) in the Hindu month of Ashadha (June–July). Nag Panchami: On this occasion, snakes are worshipped in a traditional manner. Snake worship is popular in North India especially in UP, Bihar and Nepal. The worship is offered on the fifth day of bright half of Lunar month of Shravan (July/August) according to the Hindu calendar. The people of Uttar Pradesh wear a variety of native and Western-style dress. Traditional styles of dress include colourful draped garments like sari for women and dhoti or lungi for men. Also, tailored clothes such as salwar kameez for women and kurta-pyjama for men are common in Uttar Pradesh. Men often sport a head-gear like topi or pagri. Sherwani is a more formal male dress and is frequently worn along with churidar on festive occasions. European-style trousers and shirts are also common among the men, mostly educated and working in top companies. The cuisine of UP is just as diverse as its geography. Ranging from the simple every day fare to rich, elaborate banquets, the cuisine has absorbed and adapted a variety of menus to create an entire feast of wonderful dishes. Most Hindus are staunch vegetarians and they have created a variety of vegetarian dishes ranging from the all-time favourite ‘puri-aloo’ or potatoes and fried wheat bread to savouries, desserts and sweetmeats. The Muslims, Kashmiris, Kayasthas and Christian communities cook up a range of non-vegetarian dishes including a delectable selection of breads, kababs, curries and biryanis. The Muslim cuisine of northern UP is different from the Mughlai food of Delhi. The Nawabs of Oudh were avid gourmets and encouraged their master chefs to create new styles of cooking like the famous ‘Dum Pukht’ of Lucknow where the food is sealed in large pots called ‘Handis’, placed over a slow fire and left to cook in its own juices. When opened, these dishes release the most fragrant and delicious aromas. Lucknow and its nearby towns were put on the culinary map of India thanks to these rich curries, tasty kababs, fragrant rice biryanis, pulaos and an eclectic variety of leavened and unleavened breads. The two common state-languages of UP are Hindi and Urdu. While standard Hindi is the official language, several important regional Hindi 'dialects' are spoken in the state. Some of the popular Hindi dialects are Awadhi, Bhojpuri, Braj, Bagheli and Bundeli. Urdu is prominent in UP as Lucknow was once the centre of Indo-Persian culture in north India. The language of Lucknow known as 'Lakhnavi Urdu' is a form of high literary Urdu. Dr Parichay Das is a towering poet, essayist, literary critic and singer-actor in Bhojpuri-Hindi-Maithili. He was born in Maunath Bhanjan district's Rampur Devlaas village. He was secretary, Hindi Academy, Delhi and secretary, Maithili-Bhojpuri Academy.He has written and edited more than 30 books.